Lot 89 C/I L.N.E.R. 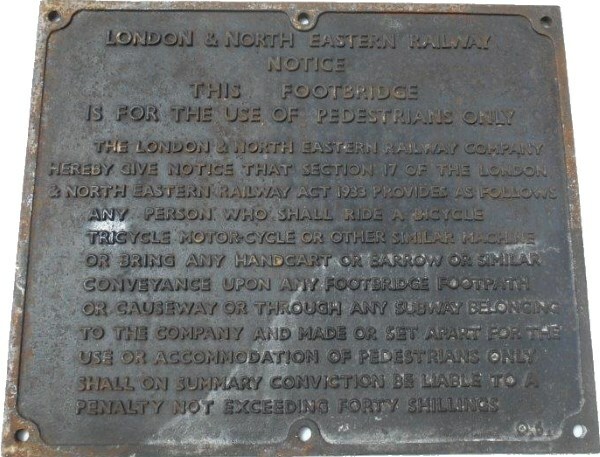 NOTICE - "THIS FOOTBRIDGE IS FOR THE USE OF PEDESTRIANS ONLY" - 12 lines of text. As removed condition. Size 24" x 20".